The UCC28056 device drives PFC boost stages based on an innovative mixed mode method thatoperates in Transition mode (TM ) at full load and transitions seamlessly into DiscontinuousConduction mode (DCM) at reduced load, automatically reducing switching frequency. This deviceincorporates burst mode operation to further improve light load performance, enabling systems tomeet challenging energy standards while eliminating the need to switch off the PFC. UCC28056 candrive a PFC power stage up to 300 W, ensuring sinusoidal line input current with low distortion,close to unity power factor while keeping the PFC ‘always on’. 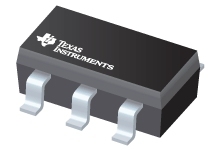 When used with the LLC controllerUCC256301, this 6-pin device eliminates the need for an auxiliary fly back converter, (typicallyneeded in systems for good standby performance) while achieving less than 80 mW at 230 Vac. Thedevice also enables instant turn on while reducing external component count to a minimum.